Its the time for the finale of Star Singer Season 7. 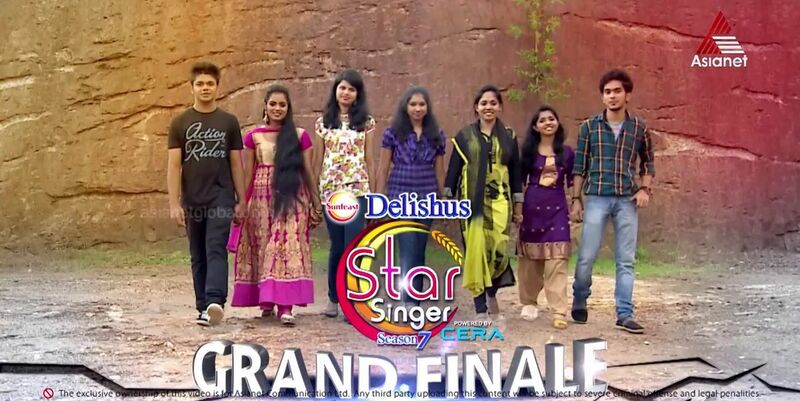 There are 7 contestants reaches the finals of the reality show Star Singer Season 7. Asianet will telecast the event star singer season 7 finale on sunday, 21st September 2014 at 6.00 P.M Onwards. There will be no live telecast of the show Star Singer Season 7 Final. Asianet will telecast a deferred live of the show. Aslam, Malavika, Varsha Krishnan, Reshma Raghavendra, Vaisakhi, Manu Shankar and Janaki are the finalists of the show. We have already reported about the coverage of the event on Asianet Middle East here. Who Will win the title of Star Singer Season 7 ?. Stay tuned Asianet for the winning moments of Star Singer Season 7.